A SUNDAY TIMES CRIME BOOK OF THE YEAR. 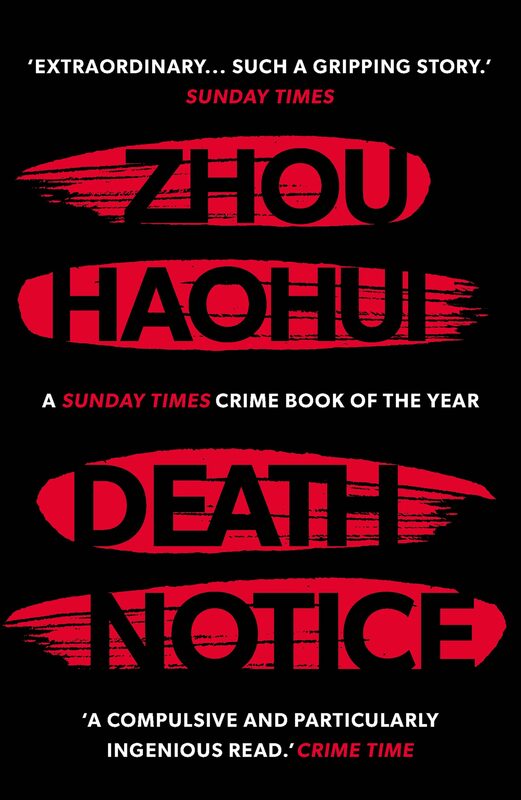 &apos;Serial killers turn up all the time in crime fiction, but few are as patient or as devious as the murderer in Zhou Haohui&apos;s Death Notice. This extraordinary novel is the first in a trilogy, and it is already China&apos;s bestselling crime series to date&apos; Sunday Times. THE LAW IS WEAK For nearly two decades an unsolved double homicide has haunted Sergeant Zheng Haoming of the Chengdu Police Department. I OFFER REAL JUSTICE Now it looks as if the long-dormant killer has resurfaced, taunting law enforcement with &apos;death notices&apos; proclaiming their next victim and the date of &apos;execution&apos;. Perhaps modern police techniques ? criminal profiling, online surveillance, SWAT teams ? can catch a killer who previously evaded justice? Or perhaps this killer is more than a match for the Chengdu Police Department. ONE SENTENCE: DEATH Death Notice is a Chinese crime-writing phenomenon, a high-octane, high-concept cat-and-mouse thriller that adds an exhilarating new gear to the police procedural.